Moving, whether it is into a new home or a residential or commercial self storage unit, can be a hassle. It is even more so when you are the one responsible for the move. But it doesn't have to be so hard. 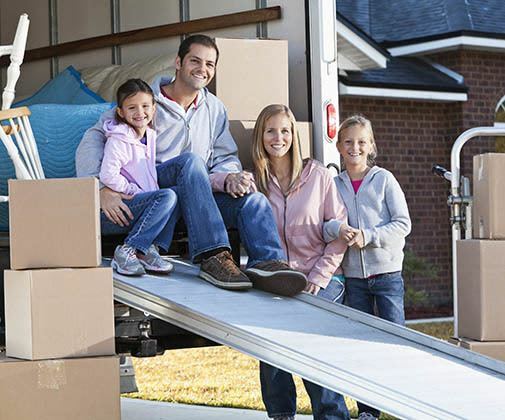 At Metro Heated Storage in Seattle, WA, we offer a FREE* truck rental at move-in. Instead of driving back and forth, let Metro Heated Storage help you or your business get all of your belongings to our Maple Leaf facility in one convenient trip. Our all new facility features drive-in access and covered loading/unloading docks so you don't have to worry about fighting off the Seattle rain. Do you need packing and moving supplies? Boxes, locks and the like are available for purchase in our office, which is open Monday through Friday 8am to 8pm, Saturday from 8am to 7pm and Sunday from 9 am to 6 pm. For more information on the FREE* truck rental at move-in with Metro Heated Storage, contact our professional staff to set up an appointment. We are the North Seattle, Maple Leaf, Northgate and Green Lake one stop shop for all of your storage, packing and moving needs. *Some restrictions apply. Call for more details. Label Boxes on all Sides - That way, no matter what way your box is faced, you will know its contents. Load Largest Items First - Not only will this ensure that all of your big ticket items make it onto the truck, but it also allows you to evaluate the remaining space. If possible, place all sofas/loveseats on end. Fill in the Empty Space - Think of it like a game of Tetris, with the goal of eliminating extra space. The tighter your truck is packed, the less likely you are to see damages to your items.